While 3D printing is not as new as some may think, it is in a stage of rapid growth with new printers, materials, and applications being released all the time. 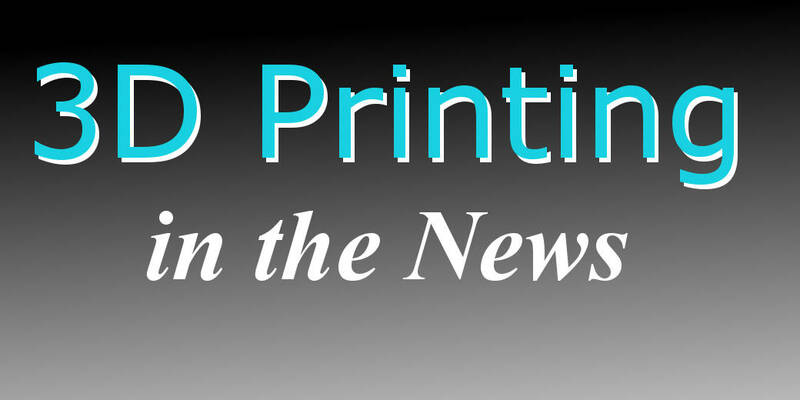 Here is a quick list to get you caught up on the most recent innovations in the world of 3D printing. “3D Printing Soft Body Parts: A hard problem just got easier” by Nala Rogers – Recent 3D printing news is full of stories about medical advancements, but one of the limitations has always been that is difficult to print softer materials. Recently, however, two different research teams have devised ways to solve this problem. Now, researchers have been able to print miniature organs with materials like collagen and fibrin that are naturally found in the human body. “Cheers: This 3D printer filament is entirely made out of beer dregs” by Duncan Riley – For you true beer lovers out there, you can now actually make prints out of beer byproducts. Known as “Buzzed.” this new filament prints similarly to PLA and boasts a wood-like finish with the appearance of natural grains. “Nike’s 3D Printing Ramp Up: Which Companies Will It Partner With?” by Beth McKenna – Nike has been one of the first large companies to really embrace 3D printing as a means to customize its products. Now, Nike is seeking to expand its use of 3D printing, with some suggesting that the company intends to use 3D printing as part of its general manufacturing process. “How 3D Printing Could Blow Up the Luxury Dining Model” by Eustacia Huen – Part of a four part series on 3D printing and dining, this article posits that 3D printing will open up new career paths in the culinary world. The article also presents the interesting thought that someday chefs could provide you with edible cartridges of their meals for you to recreate on a home 3D printer. “Joris Laarman’s Canal Bridge in Amsterdam could Take 3D Printing ‘to a higher level'” by Dezeen Magazine – Yep, you read that right, they are actually 3D printing a bridge in Amsterdam. Spanning a canal, this pedestrian bridge will be printed out of steel by six-axis robots in a manufacturing facility before being relocated to the canal. To stay up-to-date on the most exciting 3D printing news from around the world, be sure to sign up for our Spectra3D newsletter.